At the start of the year I started two mystery knit alongs. I know some of you are doing at least one of them... how are you getting on? In general I'm a bit undecided about mystery KALs. Choosing yarn and colours is difficult, as I don't know what the end result will be. It's very much out my comfort zone! 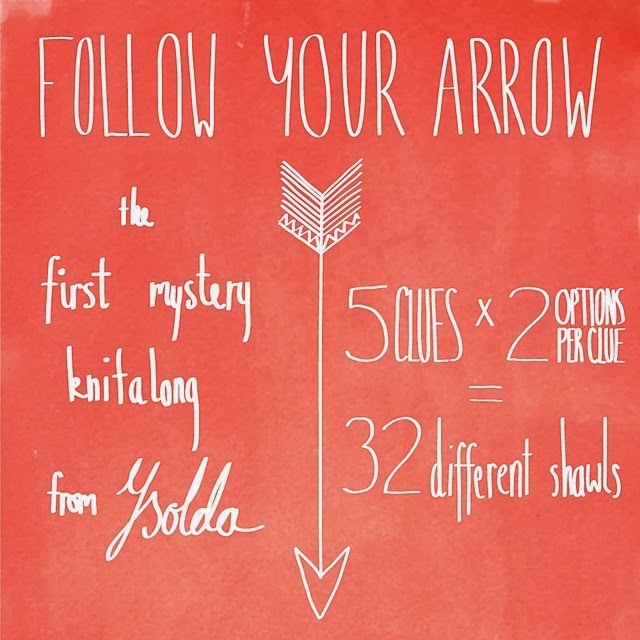 That being said My Follow Your Arrow (by Ysolda Teague) is going very well! I don't want to put any spoilers in this blog post but if you click through to my Ravelry project page you can see some photos and my choices. This pattern seems to be great value! It's now at £4.50, but each week (there are 5) there are 2 options to choose from. So there are lots of possibilities. So far the different combinations look great and very different. There is a group on Ravelry specifically for this KAL. You can see work in progress photos from the thousands of projects that people have started. Some knitters have even cast on 2 shawls. I've already seen another combination that I'd like to try. The other knitalong is Kirsten Kapur's Sock. This one I'm not so sure about. I'm using my Old Maiden Aunt Blue Faced Leciester 4ply (love it) and after a shaky start (I wasn't sure I liked the cast on) I rattled through the cuff. Finally deciding that I did indeed like it! However the leg clue seems too... ornate for me. There are spoiler photos on this sock here. And it's not my style at all. So I put this to one side as I'm not sure I will carry on with it. I have plenty of other things on the go... and I don't want to spend time on something that I don't really like. THEN! 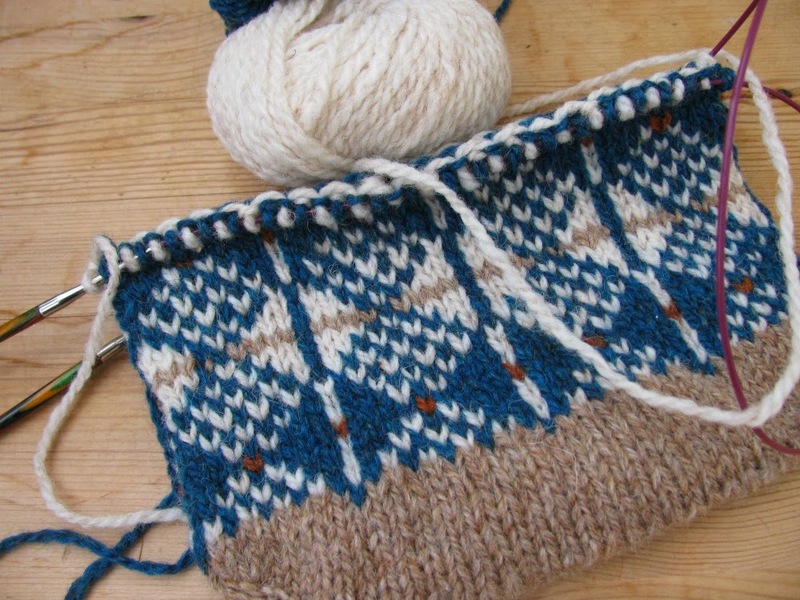 the heel clue arrived in my Ravelry library and the spoiler photos appeared in the forum. And now it makes more sense, the design flows and the heel looks very different to any I've done before. As I said I'm abit undecided about mystery KALS! 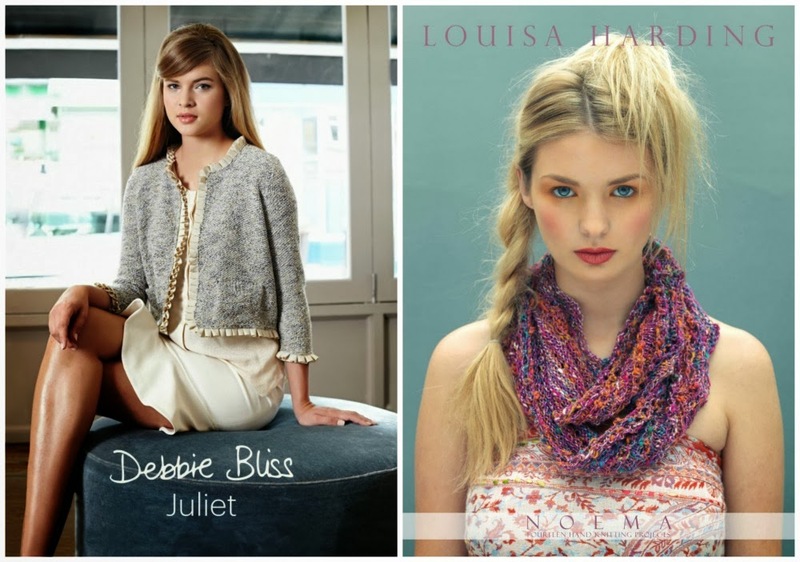 What have you been knitting this year? Are you getting ready for summer yet?